The temperatures are rising and the sun is setting later in the day. Spring is here! There are many changes that take place within homes as this new season begins. Bright, colorful decorations take their place around the home. Easter eggs, bunnies and flowers have taken over, making rooms extra cheery and welcoming. Friends and family gather around the kitchen to snack and socialize. Although decorations look beautiful and add a spring touch to the kitchen, you could revive your kitchen with new countertops, creating an inviting space to cook, eat and chat. 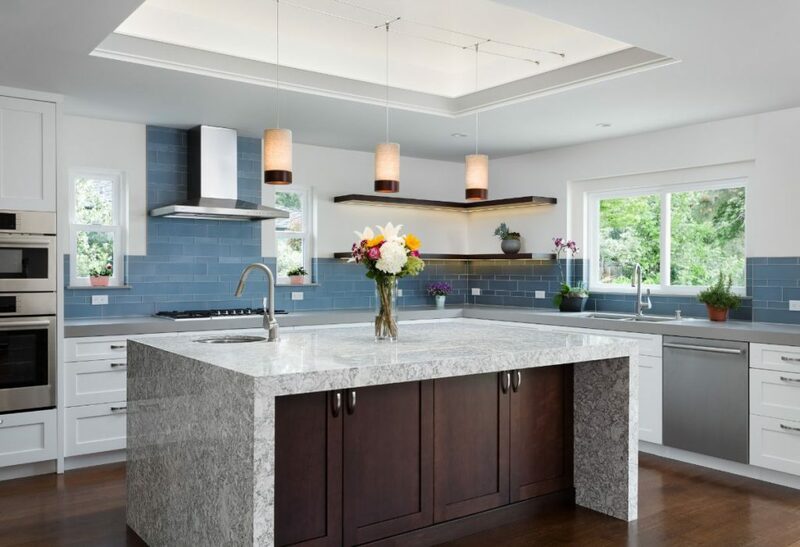 K&D Countertops offers many different designs to choose from. Here are a few of my favorite Cambria tops. These gorgeous colors blend well with the bright pops of pink, yellow and blue that spring offers, yet look great all year round. A favorite among homeowners, Ella features thin, gray lines and warmer cross-veins that intersect in a marbled-dove gray background. It has more character than a solid white top but still has a classic look. Skara Brae features bold, translucent olive green veining that flows across this countertop. Soft black and white streams move in several different directions throughout this top. 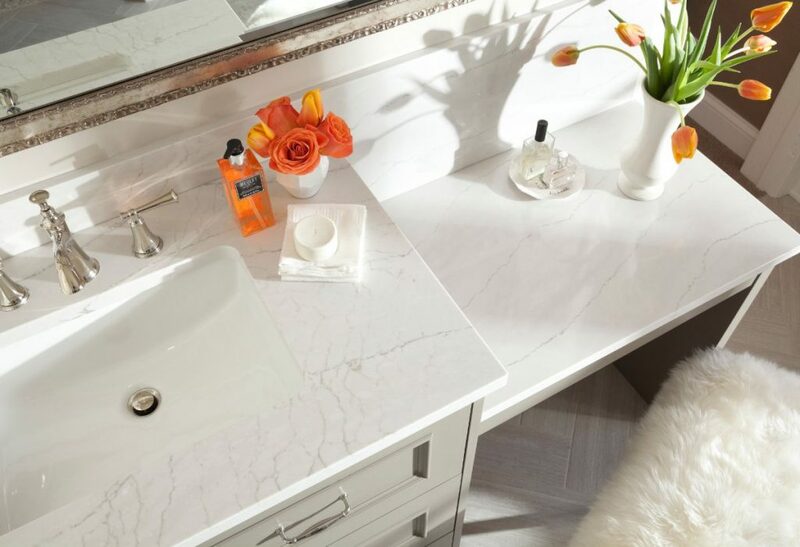 If you want a countertop with movement that makes a statement, this is the perfect choice for you. Berwyn features earthy tones that swirl around this colorful countertop. If you look closely you’ll notice warm gold and blue gray undertones mixed into this top. 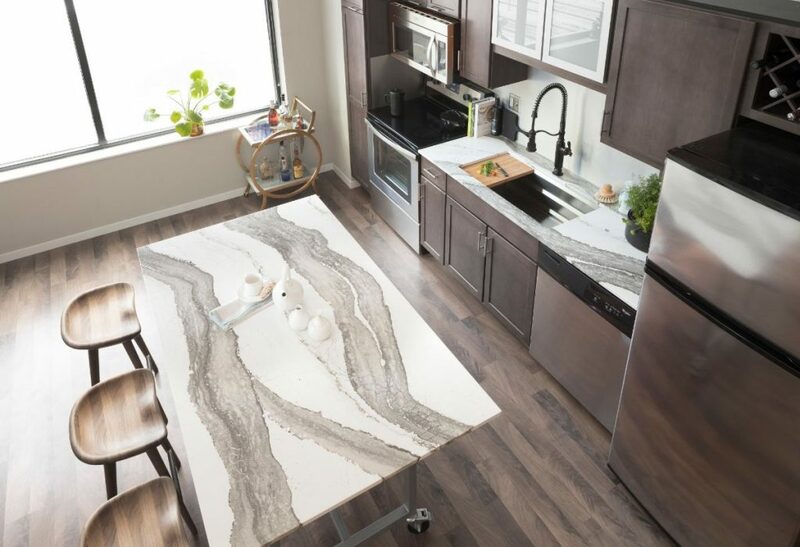 This helps create a unique but versatile countertop that coordinates with a variety of looks. 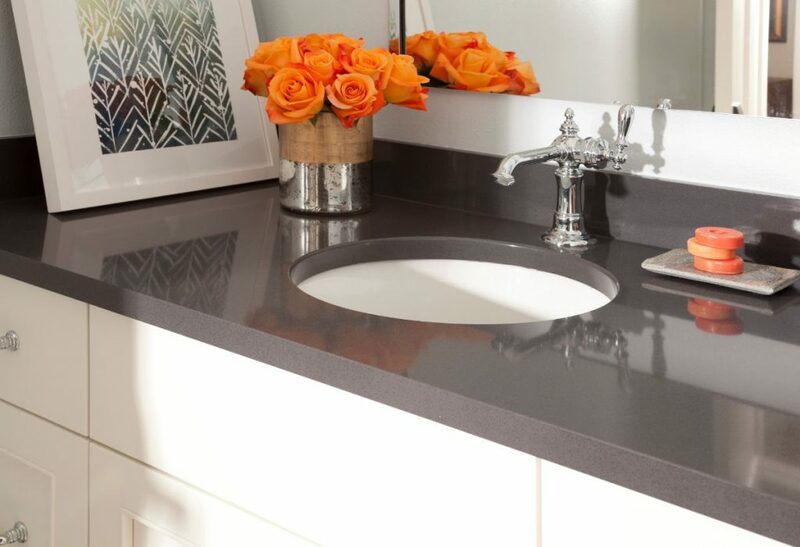 Fieldstone is a wonderful option if you’re wanting something other than a white countertop. This slate gray is an impactful neutral design. It adds a pop of color against a white or neutral-colored kitchen. Oakmoor is a beautiful design that compliments a beach-themed kitchen. It’s strands of caramel, tan and cream resemble sand along an ocean shore. These inviting tones are sure to tie in to many different kitchen styles. 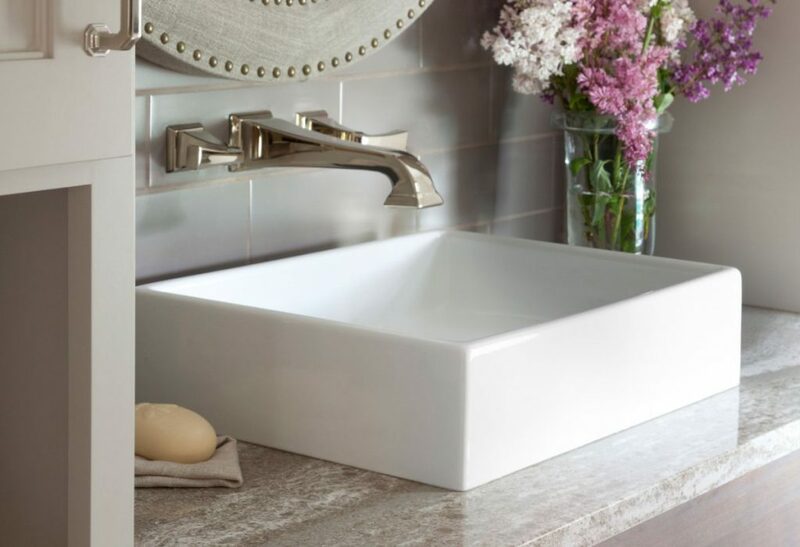 Those are all of my favorite spring quartz countertop designs! I hope you found a little inspiration and found a design or two that peaked your interest! Take a look at all of our designs here: https://www.countertopsstl.com/cambria-designs/. Happy spring!